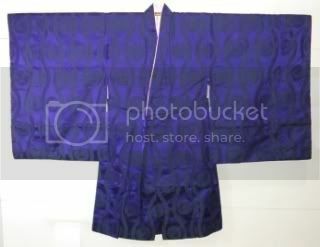 Can anyone tell me what the structural difference is between this and a regular kimono? and wondering if anyone could could tell me the components of it? 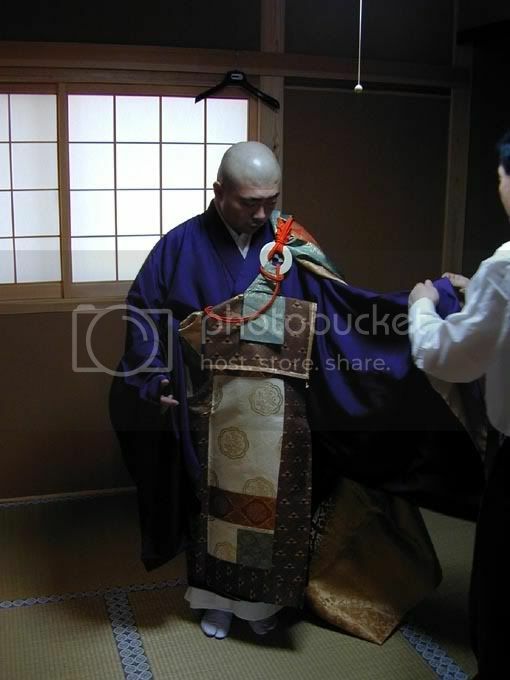 Researching Japanese Buddhist monk kimono has been a personal project of mine (so when I saw your threads I couldn't resist making an IG account!). Solid information is a bit elusive, so it might not be 100% accurate, but I will share what I can. 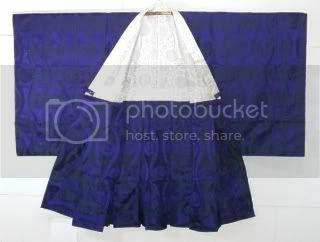 The monk wears his/her koromo over a hakama, although I haven't found any information on undergarments. 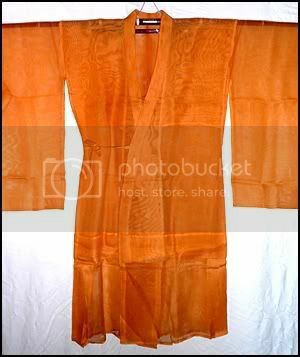 Over it all, the monk wears the kesa, which is togalike in appearance. Traditionally, the whole ensemble is supposed to be tailored by the monk out of fabric scraps donated to him. A lot of the variations in koromo design probably have to do with rank, formality, and maybe even sect...unfortunately I haven't been able to dig up any meaningful info on the subject. That's probably a little more info than you really wanted, but...eheh. Once I start talking, I can't shut up. It looks like it has the pleated skirt that a koromo would have, but it also looks like it has okumi, which would be unusual for a koromo. It also has the little closure ties that I've noticed on other koromo, but without seeing the entire garment I can't be certain. Where did you find your photos? I was so excited about the post I forgot to link my source. http://www.wafuku.co.uk/index.php?c=80&p=101474 Here is the saffron koromo I linked. I was planning on purchasing it, but unfortunately someone got to it first. Ah, that link makes me happy. More references! 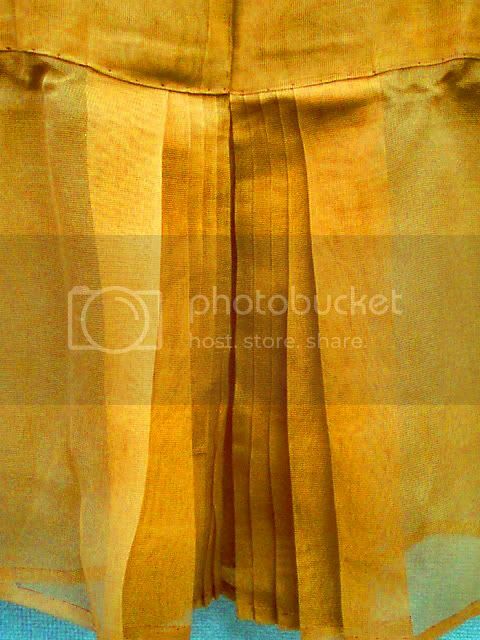 Yes, that is the skirt I was talking about. Different koromo have different types of skirts...I wish I knew more! Especially the technical term for them. Ichiroya pointed me to this site when I asked them about kesa. It really helped when I designed my kesa (which is almost complete) and shows how to wear a few different styles of kesa. There is more on this site if you do some digging. This was written by a person doing a project for SCA, but it's the most in-depth English source that I've found. Argh, I really need to go to sleep. Gotta get up again in only a few hours. I'll post some more tomorrow...er, later today.